APS Advanced Performance Supplements deliver quality, innovative, researched-based sports nutrition supplements for the professional athlete to enhance athletic performance. APS produce many supplements but have a particular interest in muscle and strength so are renowned for their creatine supplements. APS Creatine supplements utilise CreaPure which is manufactured in Germany and is renowned globally for quality and purity. 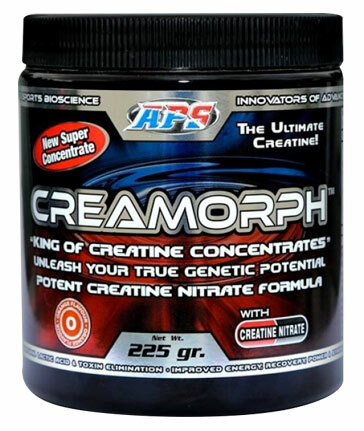 APS Creatine is readily available as Creatine Monohydrate or as Creatine Nitrate which is found in CreaMorph.